The resistance to Google+ and Hangouts by social media gurus, brands and especially agencies is deja vu all over again. In comments on my 2007 Twitter post, my esteemed colleagues called me “ignorant,” and said Twitter “isn’t even close to mainstream and is nothing more than a tactic for specific audiences at best,” said I had “quite frankly, the weakest argument for using anything and will quickly get … marched out of any meeting (and/or laughed at once you leave)” and more. While Google+ has a social layer, it is actually robust interactive community-based platform and awesome built-in video conferencing and collaboration capabilities. I see Google+ evolving into a platform based on Private Communities, collaboration tools and Hangouts on Air – the free app that is arguably the best and most truly interactive video conferencing platform ever created. Smart brands and a handful of digital agencies realize the value of Google+ Hangouts, which are interactive, shoppable, and automatically recorded to a connected YouTube channel – where they can be edited, branded and search optimized. Studies show that video (like the ones that result from Hangouts) can increase search optimization by as much as 50% and conversions by as much as 83%. Here’s my prediction for agencies and brands for 2014 and beyond: ignore Google+ Hangouts and your clients will start asking you why. NASA, The NY Times, Warner Brothers, Tiffany, Cleveland Clinic, The Mayo Clinic, and among the iconic brands using Hangouts as part of their digital strategy. 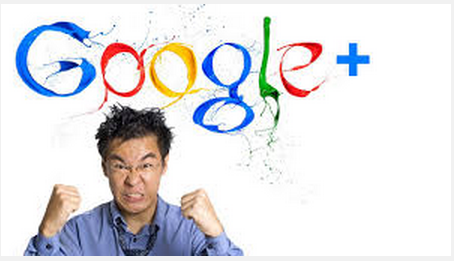 So, detractors who are saying Google+ will never last, that nobody uses it, and that they hate it – even though they invariably have not taken the time to learn how to use it – you’ll be there soon. And I won’t gloat. In fact, I’ll cheer you on and help you too!